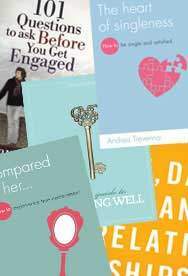 What do the following Christian book titles have in common? ‘What to do until love finds you’, ‘Prayers and notes to my future husband’, ‘Before you meet prince charming’ and ‘Satisfaction as a single: while waiting on your husband’. Now I’ve not read any of these books and their content might be fine but I have a problem with their titles. Do you see it? They all presume that every Christian woman WILL get married. There is no ‘if’ or ‘maybe’, only ‘when’. Now does the Bible promise marriage? Is it our God-given right to be wed? I don’t see it anywhere in scripture. Will most women get married at some point in their lives? Yes. But not everyone will. Many of us Christians however mislead people with our words. 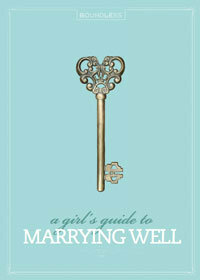 We say, ‘You’ll know when you meet The One’, assuming there is a predestined husband for every woman. 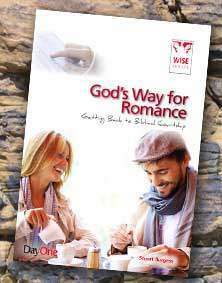 We say, ‘You will meet him when you are ready’, suggesting that a single person just has to get to this place called ‘ready’, and their foreordained husband will magically appear in their lives. We attempt to be comforting to lonely singles by saying, ‘Don’t worry, God has your Mr. Right just around the corner…You’ll see’. Is this helpful? Such talk creates false expectations. If many years pass and a woman is still not married, these failed expectations can lead her to feel lied to and bitter. So if you’re single and are clinging onto the belief that you will definitely get married, I would like to encourage you to let it go. Not to let go of your God given desire for marriage. Not to let go of your faith that God is fully capable of introducing you to a prospective husband. But rather to let go of the belief that you’re promised marriage. Please don’t get me wrong. I’m not suggesting you become so busy that you don’t have the time to get to know a man. I’m not suggesting you stop wisely living like you plan to get married (because most do). Neither am I in anyway suggesting you start making decisions that would hinder you from marrying (unless you feel called to lifelong singleness). I’m simply suggesting you make peace with the possibility marriage might not happen. I encourage you to pray to God: ‘I surrender to you my right to get married. I choose to love you and serve you if I do end up marrying, or if I’m to remain single my whole life. Lord please give me the strength to follow you whatever the circumstance. Lord help me trust You with every detail of my life’. « Can Men & Women Be “Just Friends”?